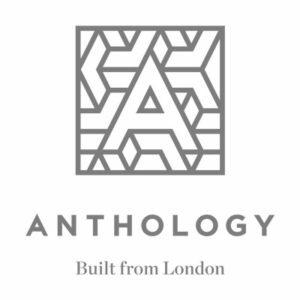 Anthology is a London property developer committed to engaging with and listening to the communities in which it develops, to enhance the neighbourhood and be inspired by the real-life stories of those communities. Anthology asked us to use PR and content expertise to create intrigue and excitement around the Anthology London brand and support development-specific activity to promote sales and generate industry interest. We adopted a truly content-led approach to all communications activity, with a focus on storytelling and building community trust. With a strong social media element, activity is focused around curating great stories from the communities in which Anthology is developing. From local heroes and schools’ engagement programmes to corporate thought leadership, sales-led events and placemaking activity, Anthology is front of mind with its audiences. Since working with Anthology, we have built brand awareness from the very beginning among all identified audiences. Securing media coverage in all trade media titles, the Evening Standard, The Metro and City AM, has been a key measurable for the client as well as building a robust following across social media. Social media activity is delivering over a quarter of all web traffic, with a fifth of registered interest on the website being driven from the social platforms. They are a true extension to our marketing team, and we appreciate their out of the box thinking as they strive for different and creative ways to approach our requirements. The content created provides us with great results and the community engagement activity is such a success as it compliments Anthology’s ethos. Due to their support we are looking to spend more budget on PR, social media and community engagement as opposed to other channels.